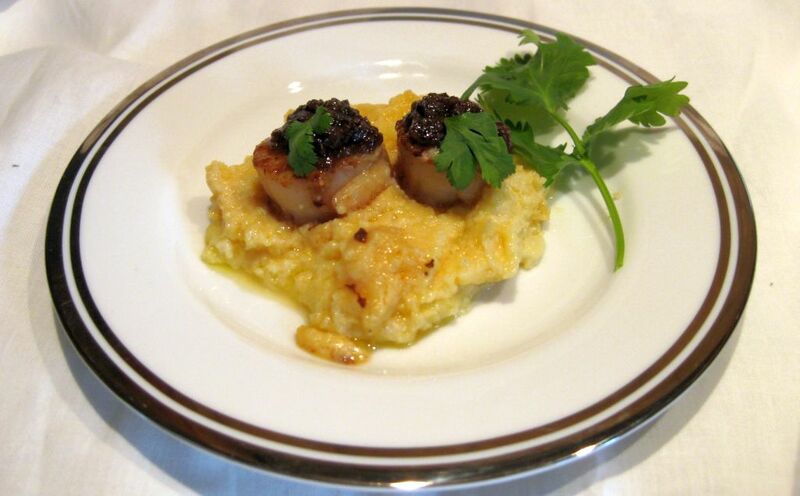 Pan seared scallops with cauliflower purée is a simple dish but yet very elegant to serve. The combination of flavors is truly outstanding. 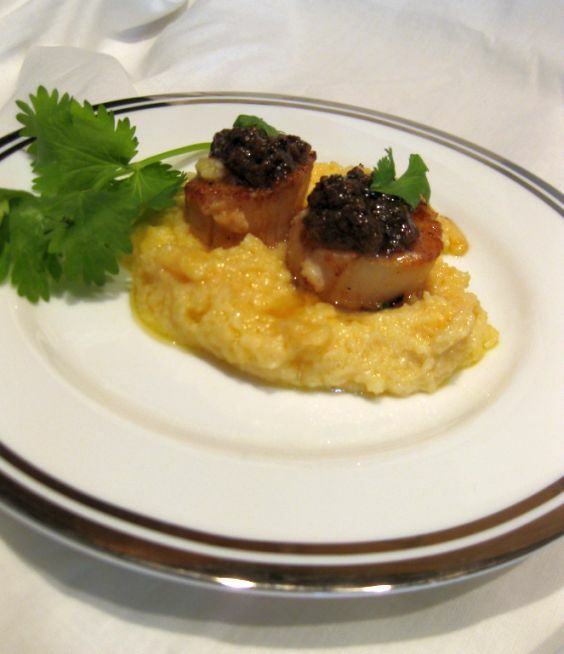 Sweet scallops served on a creamy cauliflower purée and topped with a sweet and salty caper dressing (very interesting taste) is simply divine. 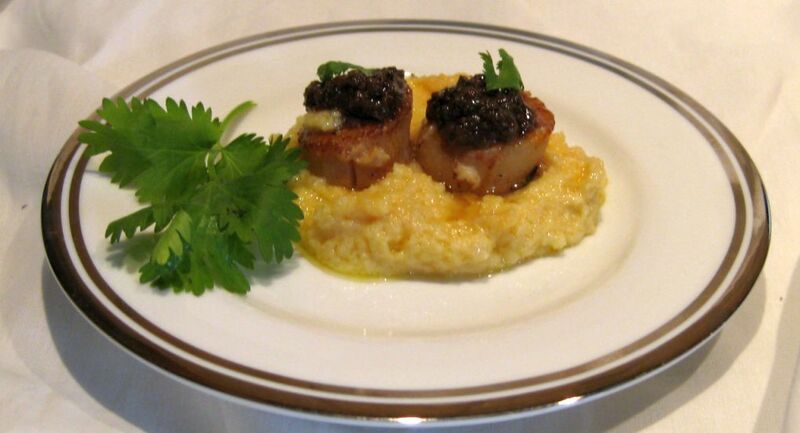 Make sure to seared the scallops until you get a nice crust on top and you will love this dish. 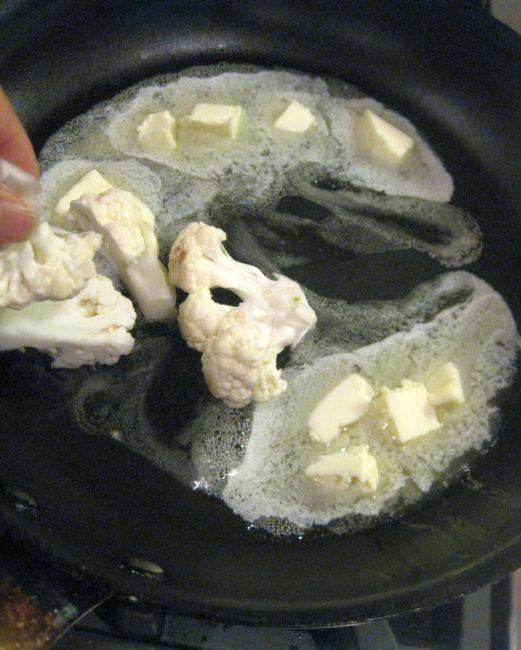 Melt the butter in a pan, add the cauliflower florets. 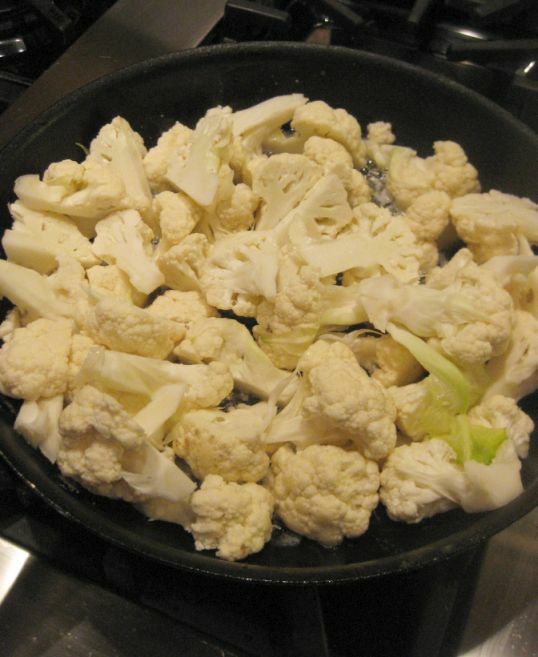 Sauté for about 3 to 4 minutes. 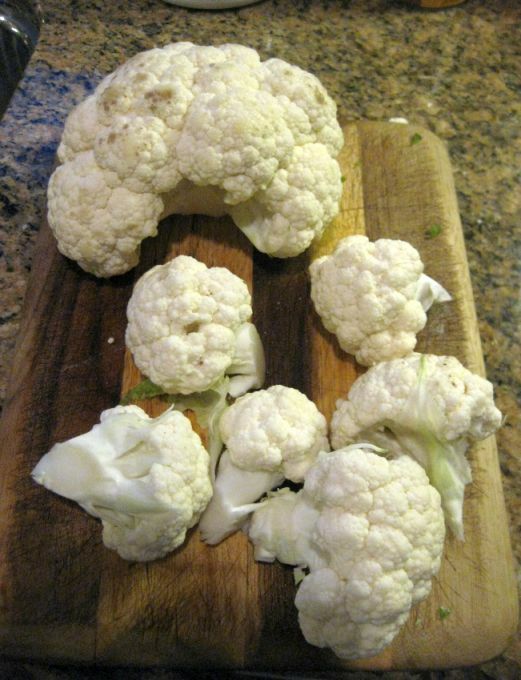 The cauliflowers should lightly turn color. Add a little milk. 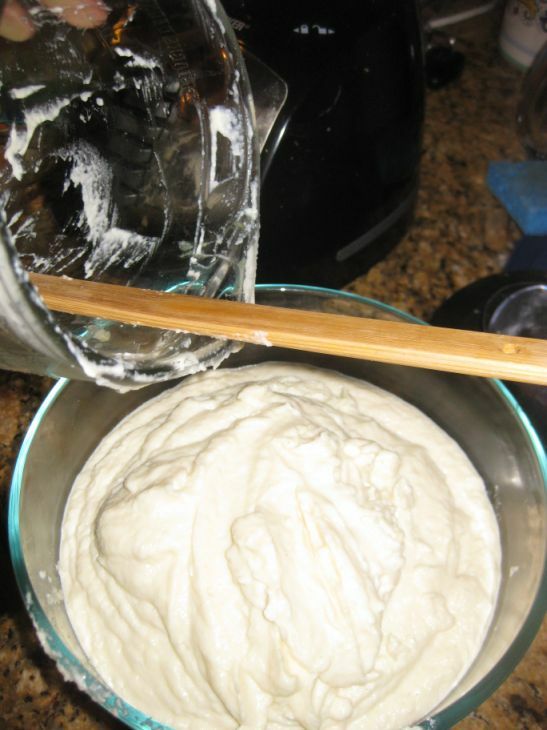 Cover and sweat for 2 to 3 minutes. Pour in the cream and return to a gentle boil. Partially cover and cook for a few more minutes until the florets are soft. Season well. 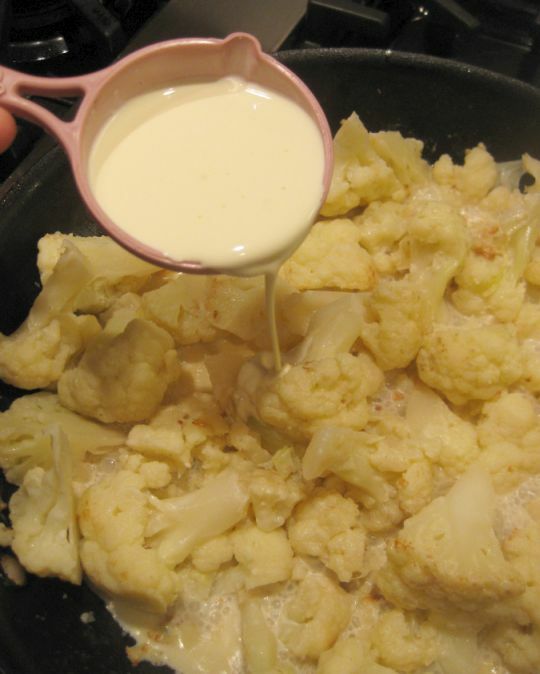 Pour the cauliflower florets in a blender and whiz until smooth. 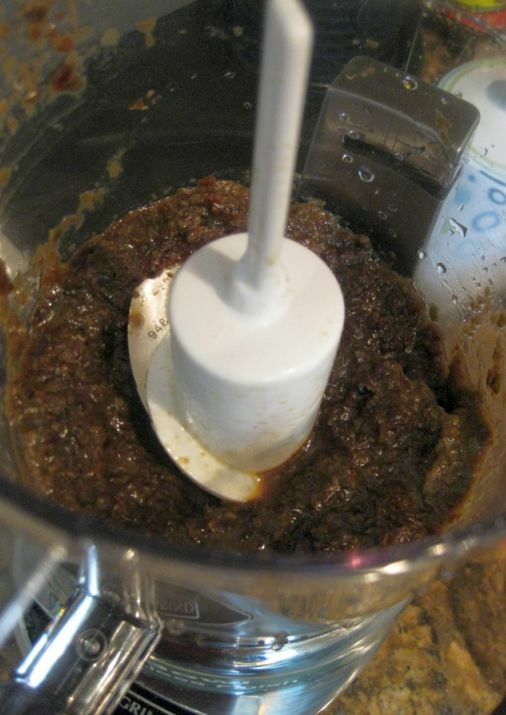 Scraping down the sides of the blender a few times ( do while it is hot-much easier). Set aside and keep it warm. 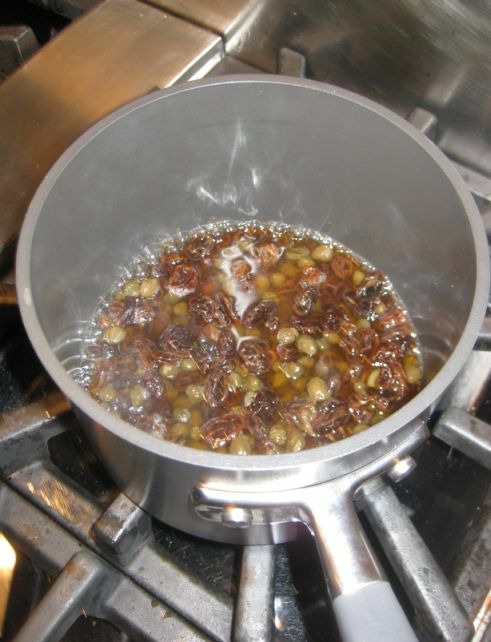 Put the golden raisins, capers, and 1/3 cup water into a small pan and bring to a boil. 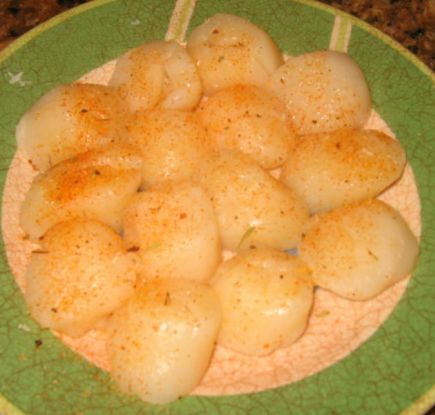 Season the scallops with the curry powder and seasoning. 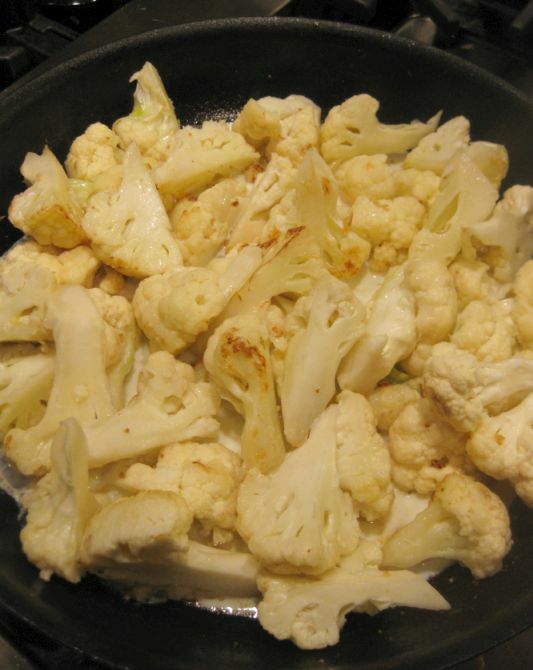 Heat a little olive oil in a large pan. 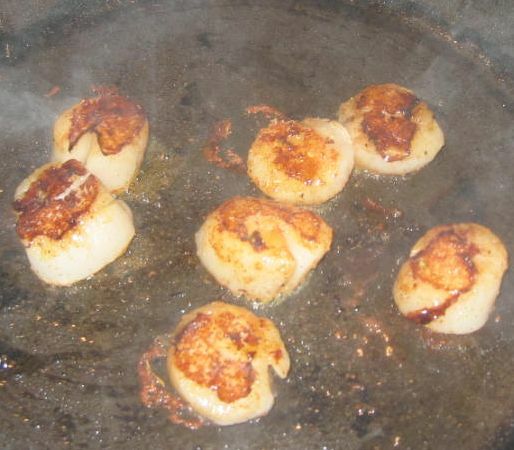 Add the scallops and cook for just a minute on each side. They should be nicely brown on both side. 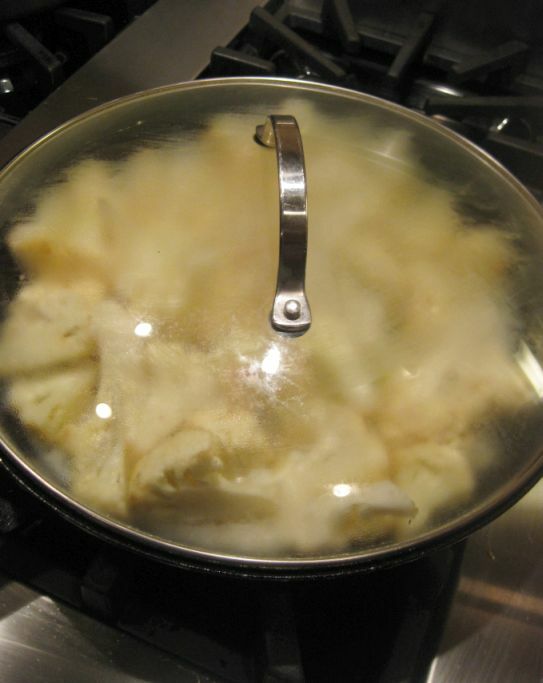 Remove from the pan to a warm plate and let rest for a minute. 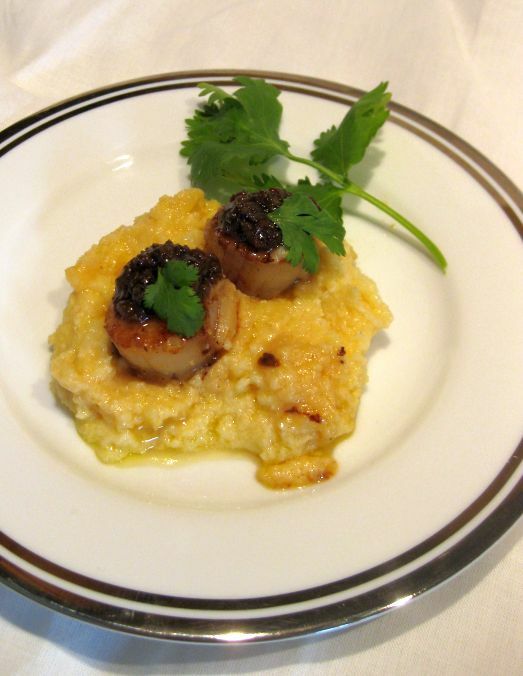 Put a spoonful of the cauliflower puree on each plate and top each with a scallop. Drizzle with the caper dressing and vinaigrette and serve immediately.